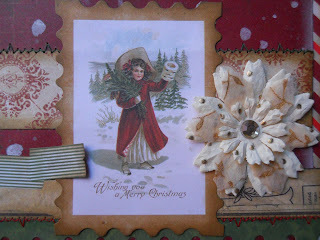 Every year at Christmas, the designers at FotoBella.com give something very special to each other...the gift of creativity! Each designer draws the name of one other designer, then creates a Christmas card using holiday paper from FotoBella.com. Today we would like to share the cards we designed with all of you! Enjoy! "Dear Santa" collection by Bo Bunny. This card is so bright and fun. An illusion of a tree is created by using a cookie cutter style die cut, which allows the other colorful papers to show through! Brilliant! 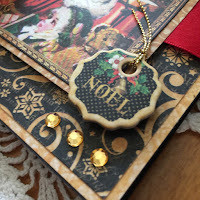 layering these other cute die cuts from the Ephemera Pack! Jessica's card for Drea features the Russian Matryoshka Dolls! It is part of the "Merry & Bright" collection by Bo Bunny. She loved using the dolls in her design which come in both the "Noteworthy" Ephemera Pack and in the Chipboard Pack. 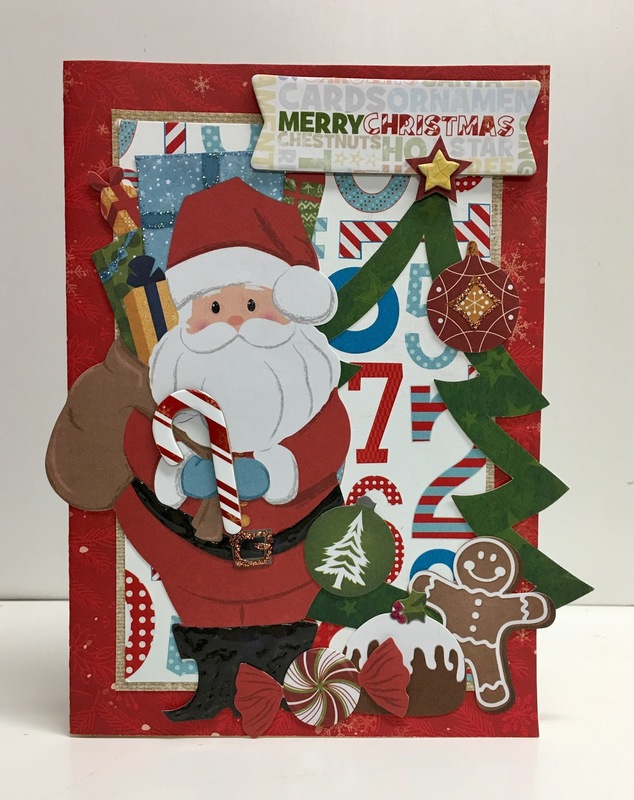 Jessica made a "Double Z Fold" card which has been seen "popping up" all over Pinterest and on YouTube! as you can see here in Drea's card for Jeri! 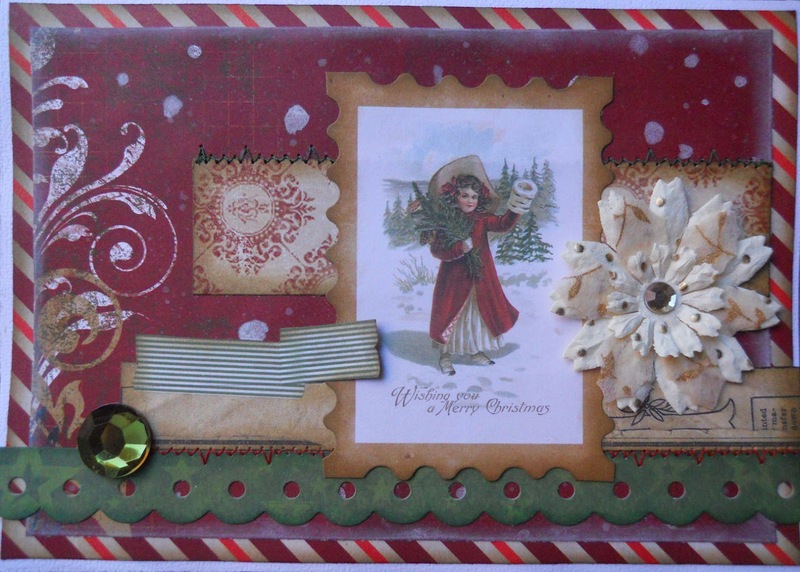 Drea used Bo Bunny's "Christmas Collage" paper collection and ephemera and "got inky" with Picket Fence distress ink. She used a postage stamp to mat the focal image and even got the sewing machine out to adhere some of the paper to her card! This cheery greeting from MME is Jeri's card to ReNae. How stinkin' cute is this buck in his warm winter sweater?! These clean and simple papers, from the "Joyous" collection feature a postcard style card. When flipped over it reveals a pretty journaling spot. The matching envelope features red and green sequins and a name plate with stickers. ReNae's card to Apryl brings us back to Jolly ol' St. Nick again! 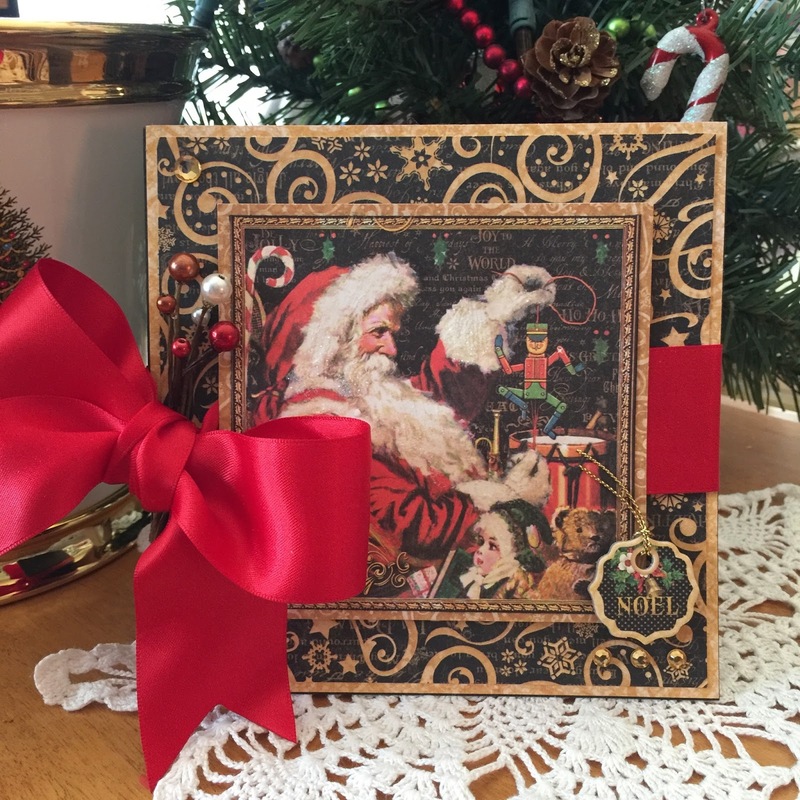 It features a Victorian-inspired Santa Claus from Graphic 45's St. Nicholas paper collection. 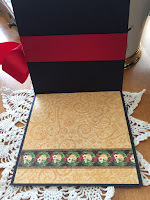 Black and gold patterned papers were layered to create a faux frame, then I added a chipboard element, some gold gemstones, then finished it off with a bright red bow! The inside is gold with a wreath patterned banner across the bottom. I added a personal sentiment inside. 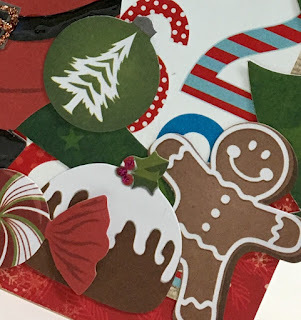 We hope you have enjoyed our card exchange. 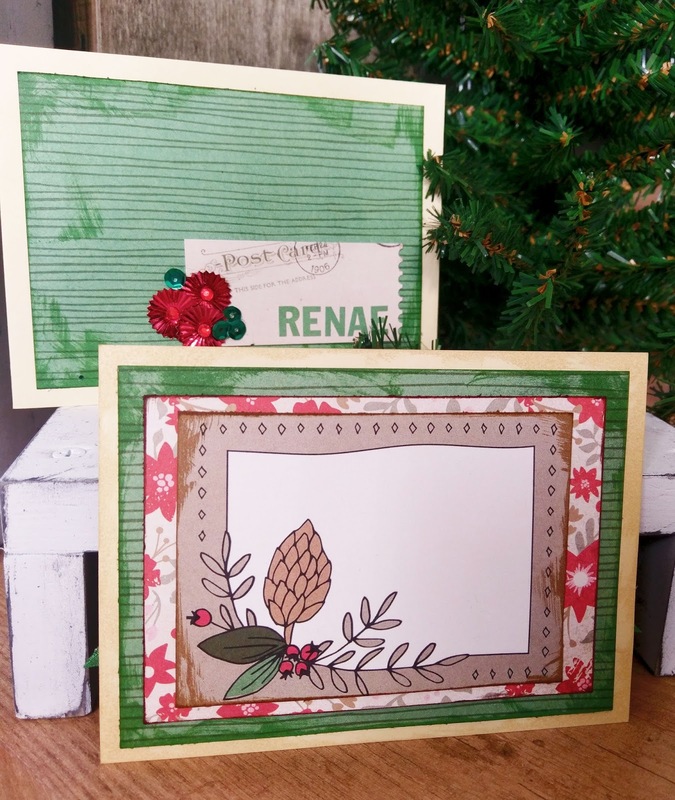 We invite you to post the cards you and your friends make for each other on our Facebook page! Or, Tag us on Instagram @fotobelladotcom. Darling cards everyone!!! I really enjoy this card exchange each year!! Thank you ReNae for taking charge of it!! Thank you everyone for participating! I always enjoy seeing everyone's creativity displayed in these cards! Merry Christmas! 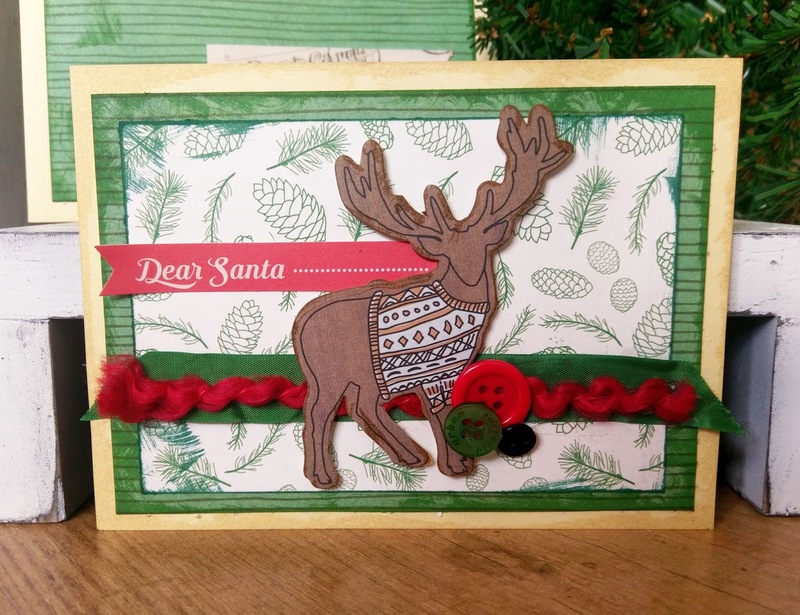 Today is Christmas Card Day! Frank Garcia Classes at FotoBella!